Vi Agroforestry was established in West Pokot district, Kenya in 1983. Today our Regional office is based in Nairobi and we have a country office in Kitale. We work with farmers' organisations around the Lake Victoria basin (Kitale and Kisumu district) as well as near the Masai Mara conservation areas (Narok county and Bomet county). Almost 50 million people lives in Kenya and a majority of the population work as small-holder farmers and the most common crops are tea, coffee, fruits and vegetables. Therefore one of the biggest threats to development in Kenya is climate change. 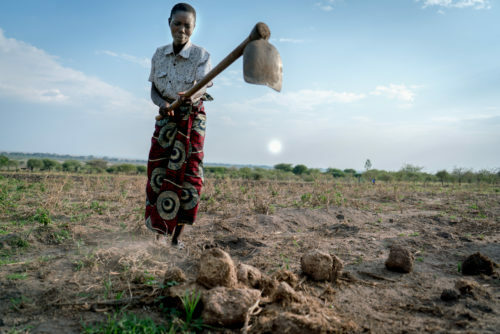 Unreliable rainfalls make it difficult for farmers to plan their crops and drought and soil erosion ruin the land and crops fail. Vi Agroforestry have 3 ongoing projects and 1 overall programme in Kenya. Our work in the country focus on improving the lives of smallholder farmers through agroforestry and by strengthening the capacity of farmer organisations. Our work empower farmer families to reduce poverty, hunger, and deforestation, and contribute to increased biodiversity. 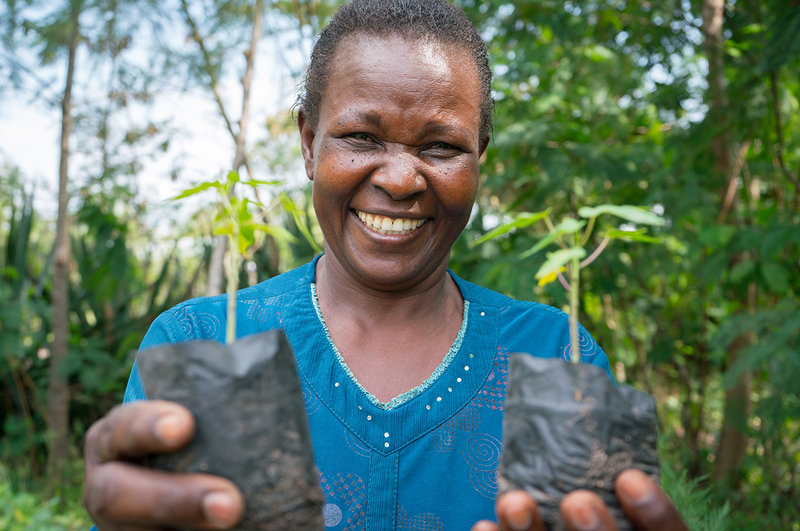 Vi Agroforestry is running 2 carbon offsetting projects in Kenya. 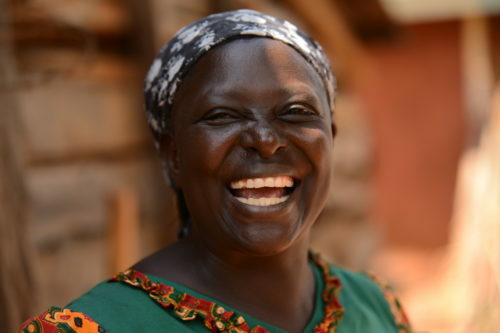 aims at improving the livelihoods of 30,000 smallholder farmers by empowering them through sustainable farming and milk-water-carbon value creation as well as establishing connections to markets through 15 cooperatives. contributes to conservation of Serengeti-Mara ecosystems through empowering local communities to adapt to sustainable livelihoods. increase food security for 30,000 farmers while combating climate change. will contribute to a sustainable environment that enables women and men living in poverty to improve their lives. "I want my grandchildren to grow up in a green world"
This is Jane Okoth, a kenyan farmer, and her best friend and grandchild Jane Juma. Jane has her own experience on how the climate changed when people in the village started to cut down the trees. “I know they had to do it to gain income but it changed the climate around her. It was all dusty and the soil got very dry. Nothing was growing and it was really hard for a women to feed her family”. 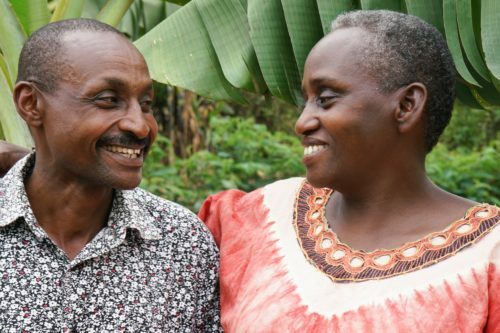 Jane and her husband was trained by Vi Agroforestry in sustainable agriculture land management and the importance of trees. Today they have changed their living conditions. 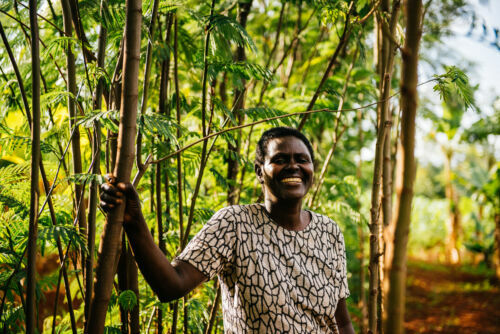 “We have planted over 1500 trees on our farm and now we know that if we stop planting trees the environment will die again.” Jane explains the importance of passing the knowledge to the next generation. “A lot of people do not care about our environment but I want Jane and all my other grandchildren to grow up in a green world. I am doing my best to teach them everything i know about being a sustainable farmer.” Jane the younger looks at her grandmother and adds “I want to be like my grandma when I get old. I want her to teach me how to plant trees so that I could eat giant mangoes one day.